Hudson Valley Treadmill Superstore Open until 9pm Nightly 845-298-8800!!!!!! 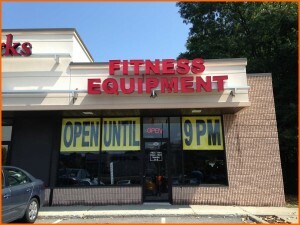 Fitness Showrooms Hudson Valley Superstore Open until 9pm Nightly!!!!!! Shop Labor Day until 9pm on Route 9 with the Largest Sale Prices of the Year!!!!!! We are so excited to serve the Hudson Valley with extended hours due to overwhelming demand!!!!!! !